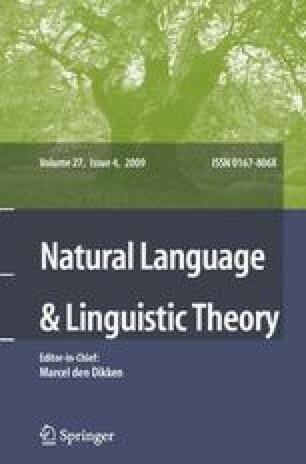 This paper explores the pros and cons of assimilating Malagasy “Focusing” No-Constructions (FNCs) to Temporal No-Constructions (TNCs), which arise from the combination of two full-fledged clauses. The particle no functions as a clause-linker introducing an adverbial clause. It is shown that a neo-Davidsonian semantics assimilating FNCs to TNCs can be developed. Among the attractive consequences of this is the possibility of giving pre-no quantifiers a standard (non predicative) semantics. The clause combining approach also squares well with the finding that the “focusing” nature of FNCs is less regular than often assumed. In particular, non-backgrounded (non-“presupposed”) no-clauses can be found. Among the drawbacks of a clause combining approach is its apparent inability to properly constrain “binding” relations between the two clauses. In particular, locality restrictions typical for movement relations are unpredicted. The paper discusses these features in some detail against the backdrop of rivaling movement and pseudocleft approaches. My hope is that it helps in clarifying their strengths and weaknesses. Also, I show that formal semantics is a useful, hitherto often neglected, tool with some potential of furthering our understanding the nature of Malagasy FNCs.